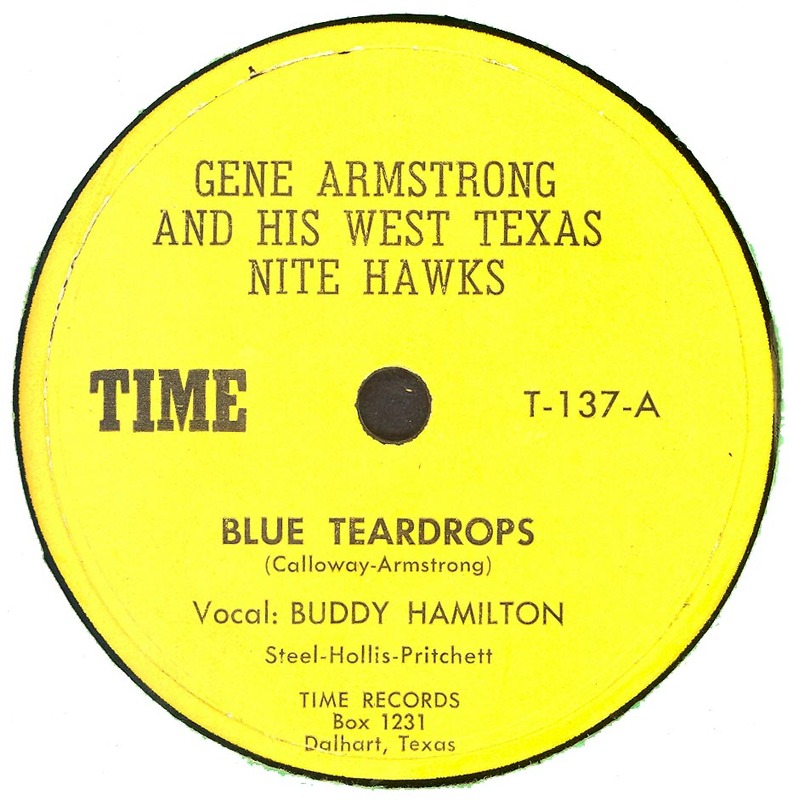 Please Note: Label is stained! 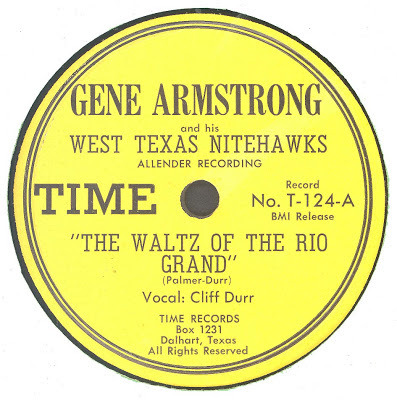 Excellent offerings! 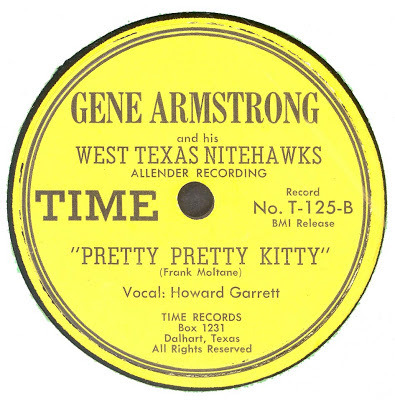 Even more excellent than the usual excellent, I mean. Thank you very much. 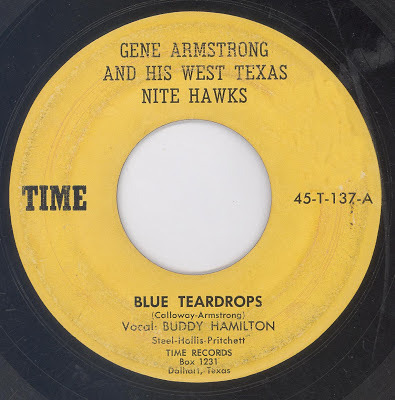 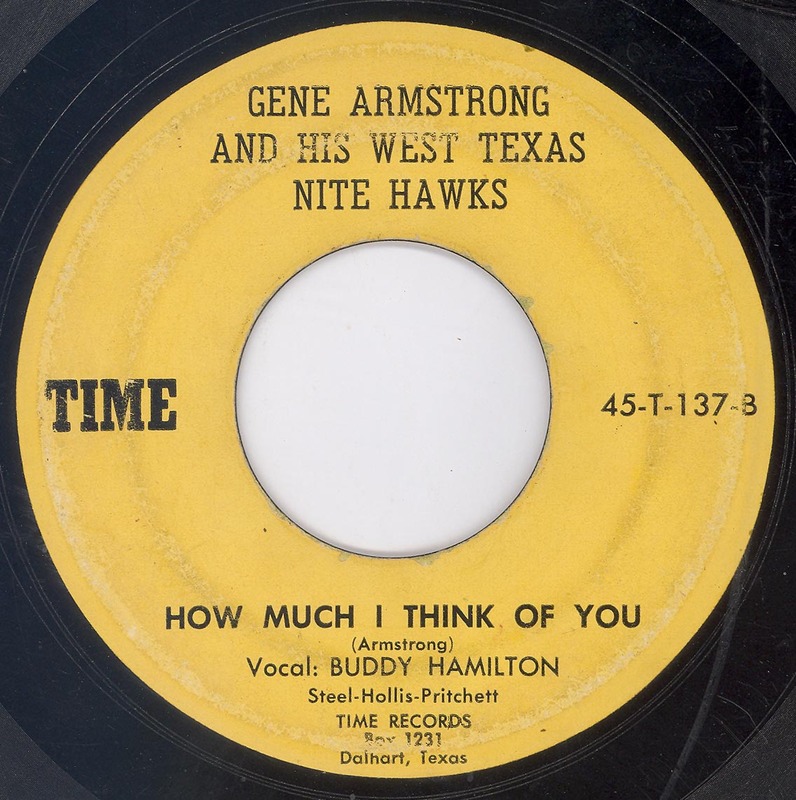 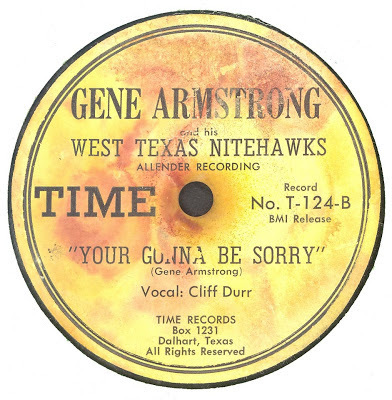 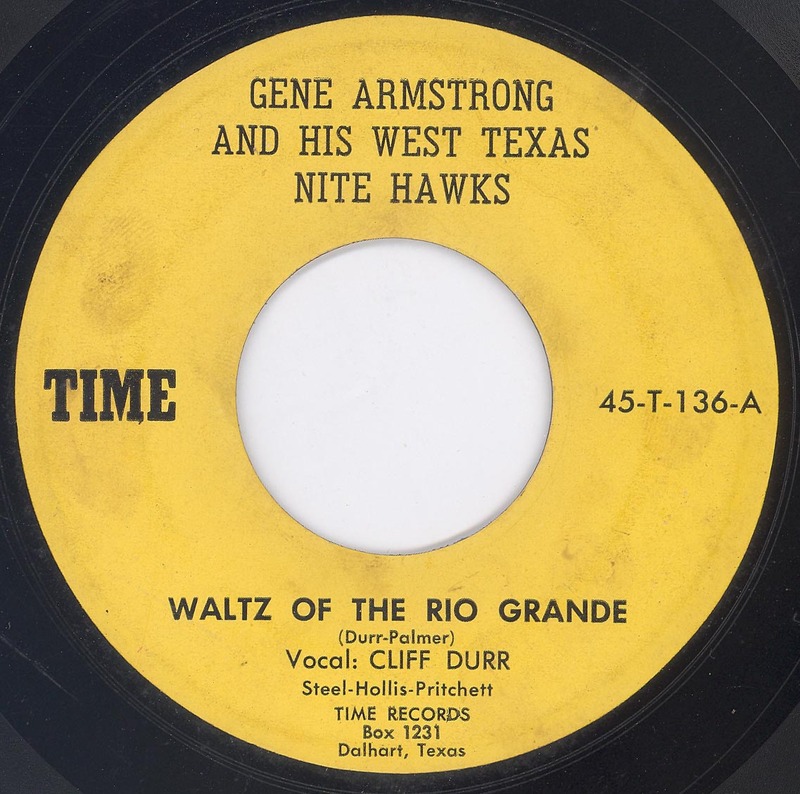 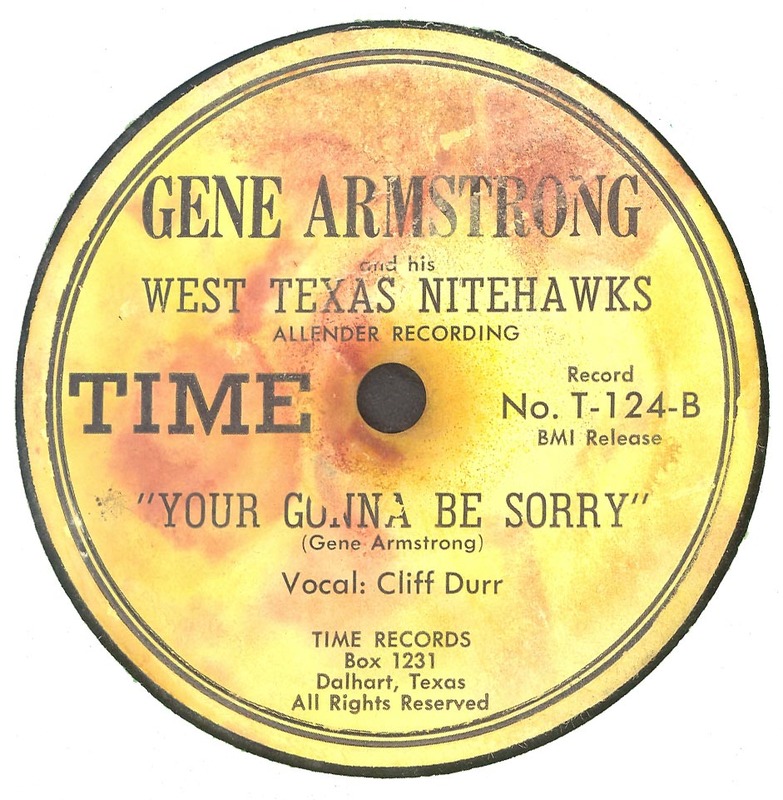 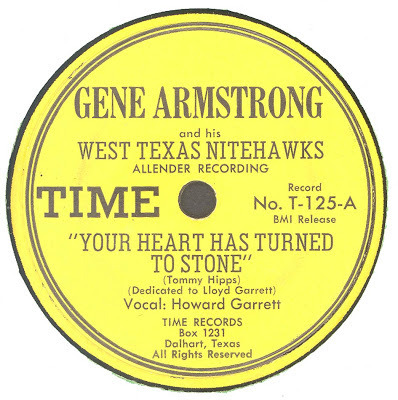 Time (TX) 78 - 123 (1950) : Gene Armstrong & The West Texas Nighthawks Vocal Howard Garrett - Crying My Heart Out Over You / ? 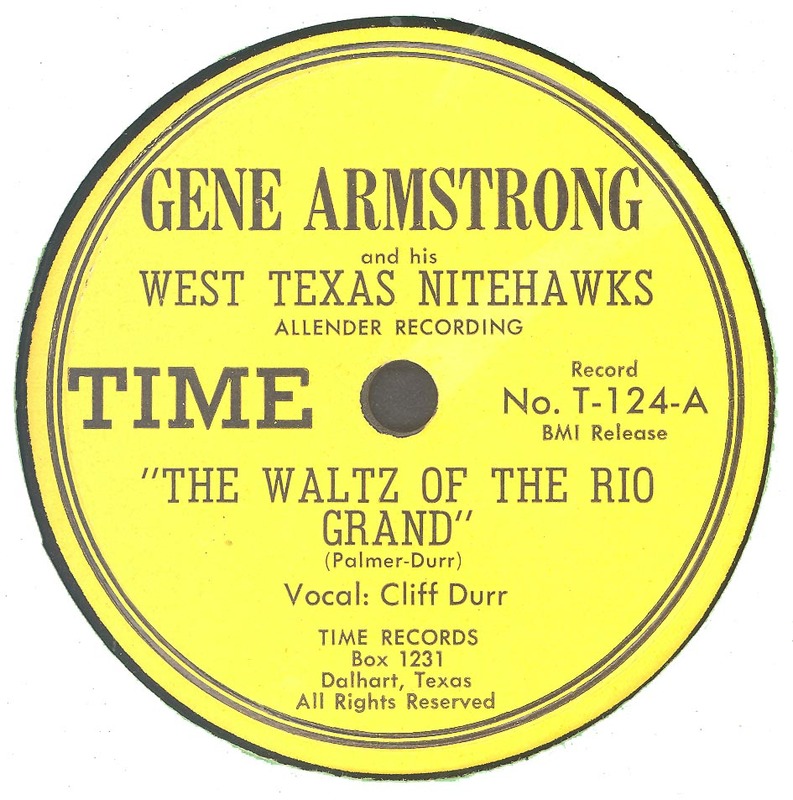 Aren't there some fiddle tunes by this group on Time, as well? 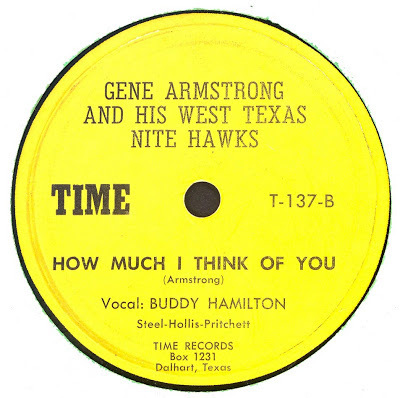 Hollis Pritchett played fiddle and steel, Gene Armstrong was a bassist. I believe both Cliff Durr and Howard Garrett played rhythm guitar. 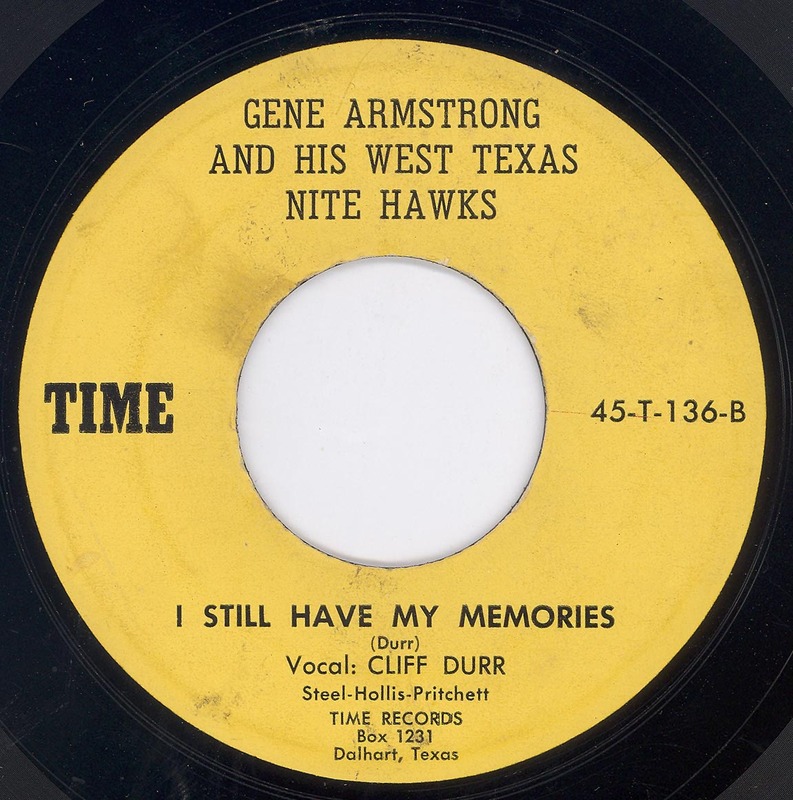 Hollis Pritchett was, I believe, married to Cliff Durr's sister. 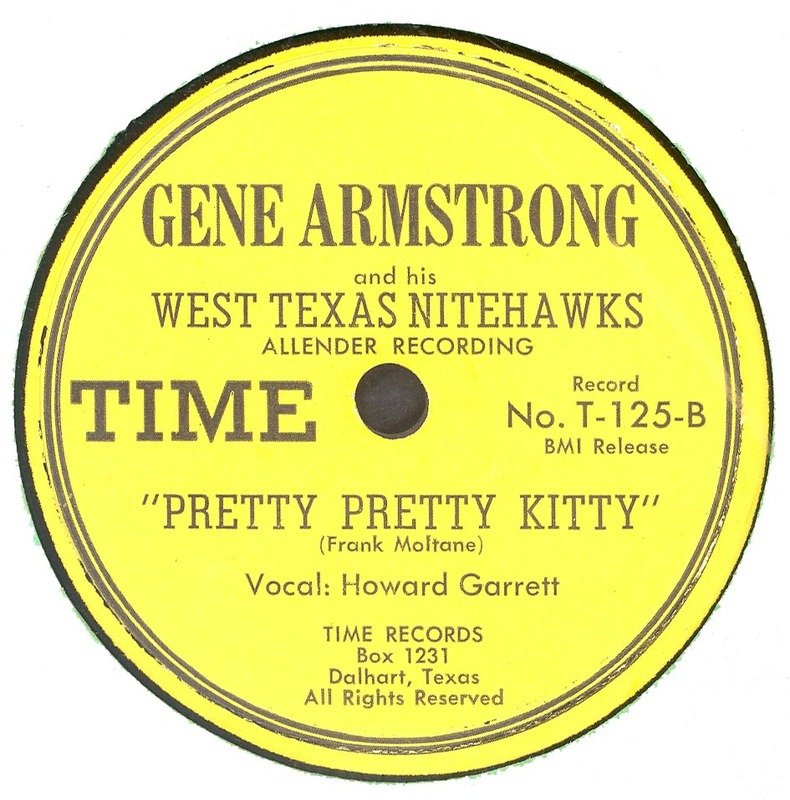 Regarding the record dedicated to Lloyd Garrett. 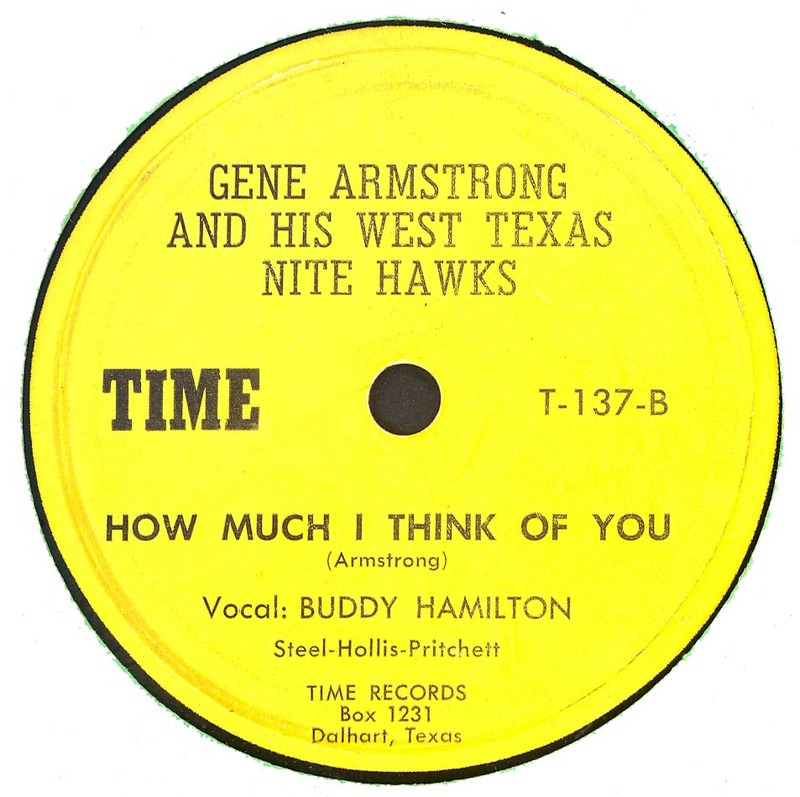 He was Howard's brother and was also a musician. 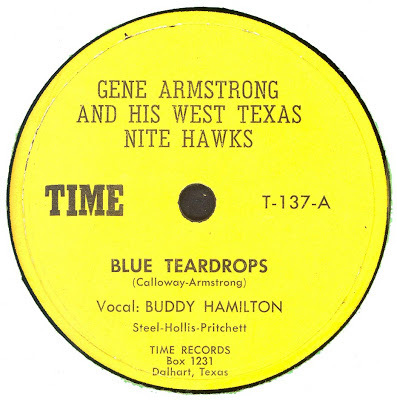 He was killed in the auto accident near Amarillo that also killed Leon Rusk in May 1950. 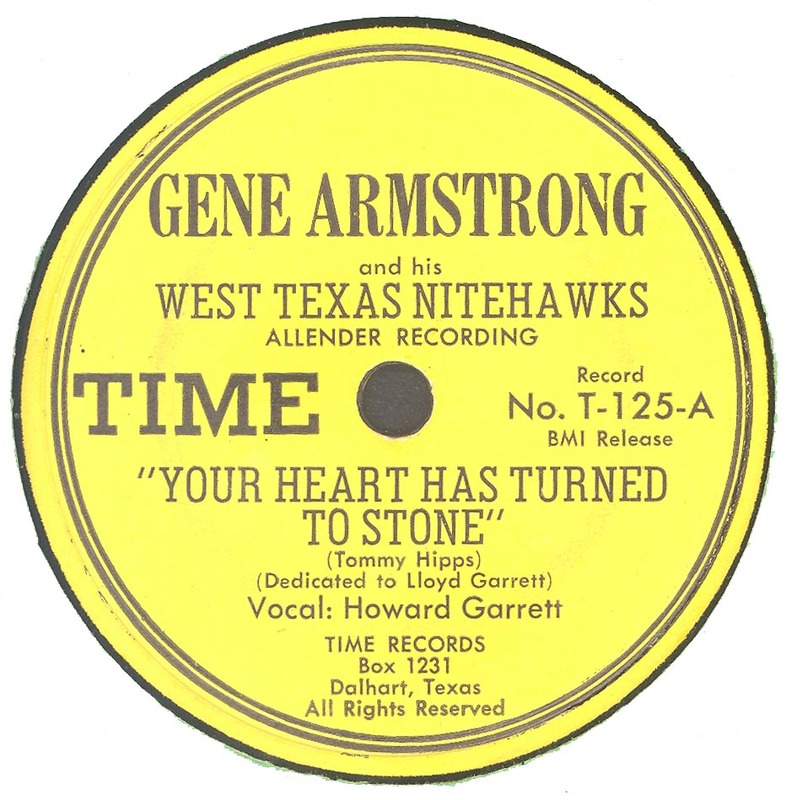 Time 126 is also by Gene Armstrong and His West Texas Nighthawks (Stepping Stones/Cowboys Way of Living).